Michael V. Leggiere is Professor of History and Deputy Director of the Military History Center at the University of North Texas. 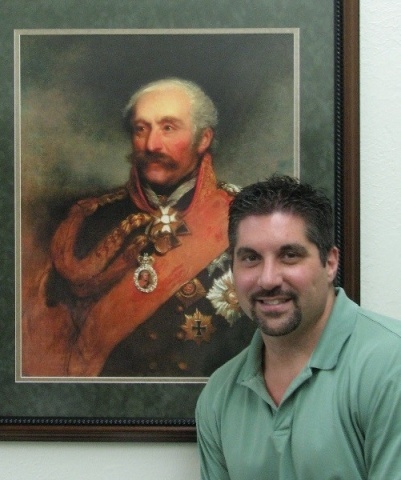 Dr. Leggiere is an acclaimed expert on Napoleon. His first book, Napoleon and Berlin: The Franco-Prussian War in North Germany, 1813, published by the University of Oklahoma Press as volume I of its “Campaigns and Commanders” series, won the La Société Napoléonienne Internationale 2002 Literary Award. His second book, The Fall of Napoleon, is volume one of a two-volume series being published by Cambridge University Press. The first volume, titled The Allied Invasion of France, 1813-1814, was released in November 2007 and won the La Société Napoléonienne Internationale 2008 Literary Award. Volume 2 will be forthcoming in 2017. Dr. Leggiere’s third book, Blücher: Scourge of Napoleon, was published by the University of Oklahoma Press, likewise as part of its “Campaigns and Commanders” series, in February 2014. That book received the Society for Military History’s 2015 Distinguished Book Award for biography. His two-volume 1,400-page work on the 1813 Campaign, titled Napoleon and the Struggle for Germany, was published by Cambridge University Press in April 2015. He was recently commissioned by Yale University Press to write a new history of the 1815 Campaign and the Battle of Waterloo. Rachel Yeatts, Senior Lecturer in the Department of English, specializes in creative nonfiction, poetry, trauma narrative, and writing as healing. Robert Upchurch, chair of the English Department, reports that Dr. Yeatts has established a “marvelous mentoring program for the lecturers and teaching fellows in our department.” This program was developed under a UNT mentoring grant and incorporates Dr. Yeatts’ strong belief in the value of mentoring that supports members’ professional lives through social and professional events. Dr. Yeatts is also an accomplished songwriter and mandolin player whose first CD, Paradise Mountain, was released in 2014. 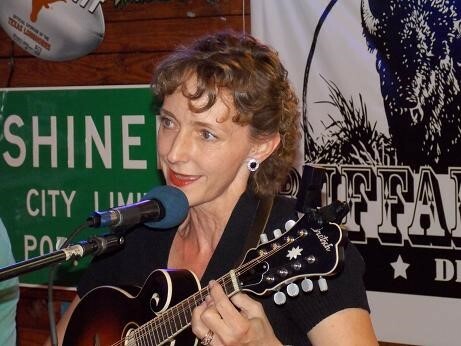 Dr. Yeatts and her band Blue GrassFire play regularly at a number of area venues. This year’s Salute to Faculty Excellence, a week-long celebration of the many ways UNT faculty excel, will begin September 28 and culminate on October 2 with the annual Salute to Faculty Excellence Awards Dinner and Ceremony at Apogee Stadium’s Club Level. Reservations are required and space is limited. Click here for more information about the Salute to Faculty Excellence week. Congratulations to the 78 faculty members who were promoted and/or tenured in 2015! A complete list of newly promoted/tenured faculty can be found here. Please contact Susan Smith for more information. The EC is now soliciting proposals for Spring 2016 (February-April). Classes will be held on the UNT campus (Mondays and Wednesdays), Robson Ranch (Tuesdays and Thursdays), and the TWU campus (primarily in May). To find out more about the Emeritus College, visit their website. Need to increase your research productivity? Consider joining the network “Getting More Productive with Your Research,” a mentoring group for any faculty that aspire become more productive. Led by Victor Prybutok, Regents Professor in Information Technology and Decision Sciences, and Jim Meernik, Professor in Political Science and CAS Social Science Coordinator, this group will discuss successful strategies for increasing both the quality and quantity of your research. The group will also host research workshops in which group members present their manuscripts, ideas and challenges they face on their projects. The group meets twice per month. If you are interested in joining the mentoring network, please email Dr. Prybutok or Dr. Meernik. Have you ever left a meeting wondering, “How could I have done that better?" During a luncheon on Friday, October 9, 2015, Drs. Christy Crutsinger and Angela Wilson will discuss talents and strengths and how these can help you develop personally and professionally. This session will address how to advance careers, address challenges, and approach others to move towards success, based upon individual strengths. Registration is required for the event by September 29. Registrants will be asked to complete a brief survey for full engagement in the October 9 discussion. Click here to register. The Student Perceptions of Teaching (SPOT) is the new student evaluation system for UNT. Developed and offered by the University of Washington this proven system offers both online and paper administration options, as well as evaluation forms that support different pedagogical formats (e.g., large lecture, online, studio). Fall 2015 administration dates will be November 9 - November 22 during the 12th-13th weeks of the semester. Faculty will receive an automated email with information about evaluation details and a link to the faculty portal at least three days before the survey opens and faculty and chairs will receive summary reports one week after grades are posted. To learn more about IASystem and view the variety of evaluation forms, visit their website. Finley Graves, our Provost and Vice-President for Academic Affairs, invites faculty and their families to a tailgating party before the homecoming game on October 10 against Portland State. We’ll have food, prizes, a petting zoo, and more. We’ll be tailgating from 12:00 – 3:00; game time is 4:00. Please stop by! 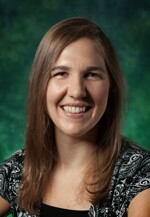 To kick-off our 2015 Salute to Faculty Excellence Week, brave UNT faculty members will present Pecha Kucha sessions on the theme “The Secret Lives of Faculty.” Pecha Kucha is Japanese for "chit-chat" and describes a presentation format using 20 slides which advance automatically in 20 second intervals. This will be the second year we’ve used this format for the event and the feedback from last year’s attendees indicated the program was “funspiring” – both fun and inspiring. To view the recordings from last year’s Pecha Kucha, visit http://clear.unt.edu/2014sfew. Don’t miss out this year! This event is open to all instructors and staff, but space is limited. Register here. UNT Libraries Scholarly Publishing Services is pleased to announce a competition for grants to UNT teaching faculty for use towards publication fees to publish new works of scholarship under the Eagle Editions imprint. Thanks to generous support from the UNT Libraries' Dean's Innovation Fund, UNT Libraries Scholarly Publishing Services will make up to five grants of up to $1,000 in the fall of 2015. Click here for more information.